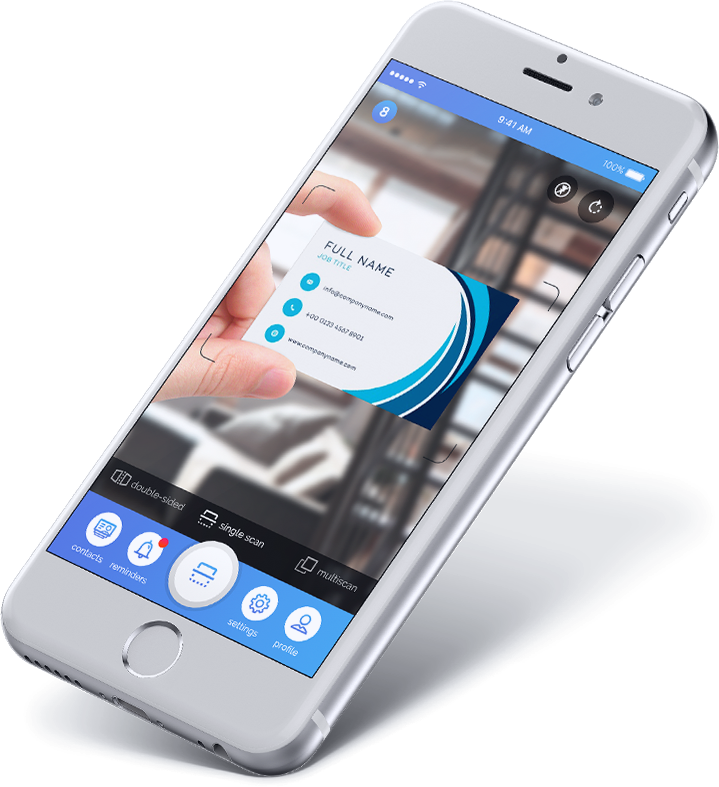 Capture, store, sync, manage and share business card contacts on the go and make them accessible anytime and anywhere for all your team members. Forget about organizing the prospects and focus on your sales productivity. You can distribute business card contacts within your company members, send them over an email and add any valuable comments and information for the prospects. 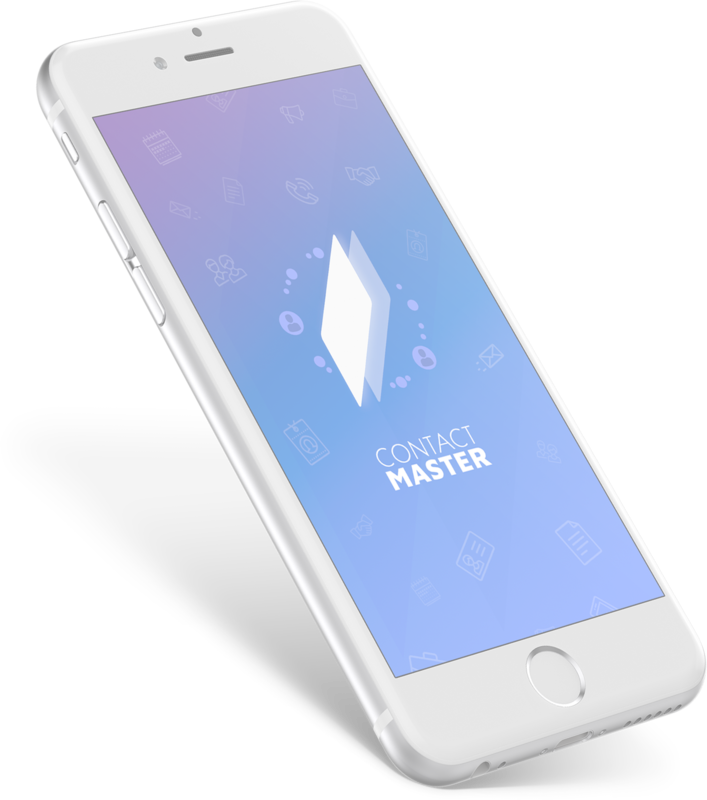 Network and share your contacts with just one tap. 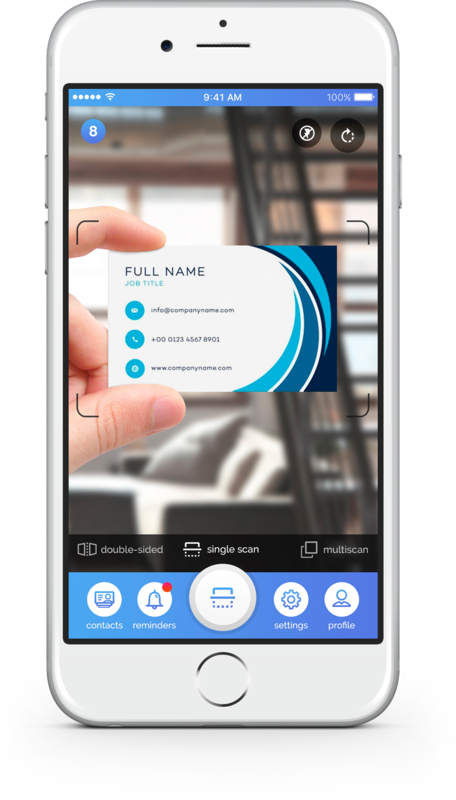 Forget about card holders and benefit from an easy to use business card scanner application, that helps you get and organize contacts quickly and share the information with your partners and colleagues. Store unlimited amount of business contacts and expand your business network like never before. You can send business inquiries on spot and follow the information sooner than ever.